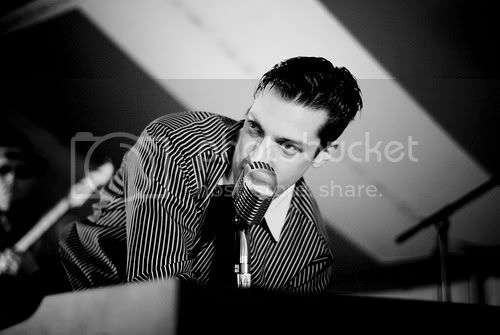 "The Wildest Piano Pumpin Rock-N-Roll Show since Jerry Lee Lewis!" 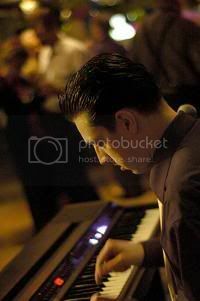 Terry Lee & The Rockaboogie Band is a high energy, first class show band built around the lightning fast piano pumpin’, rockaboogie playing of London England's Terry Lee! Popular with all age groups, this unique musical attraction is right at home in Small Venues, Private Party's, Corporate Events, Casinos, Classic Car Shows and Small/Large Outdoor Fairs & Festivals! Adding an international act, such as London’s England's Terry Lee to your schedule of events is guaranteed to create a lot of interest! If you would like to enquire about booking Terry Lee and the Rockaboogie Band at your next event please Don't hesitate to contact us!